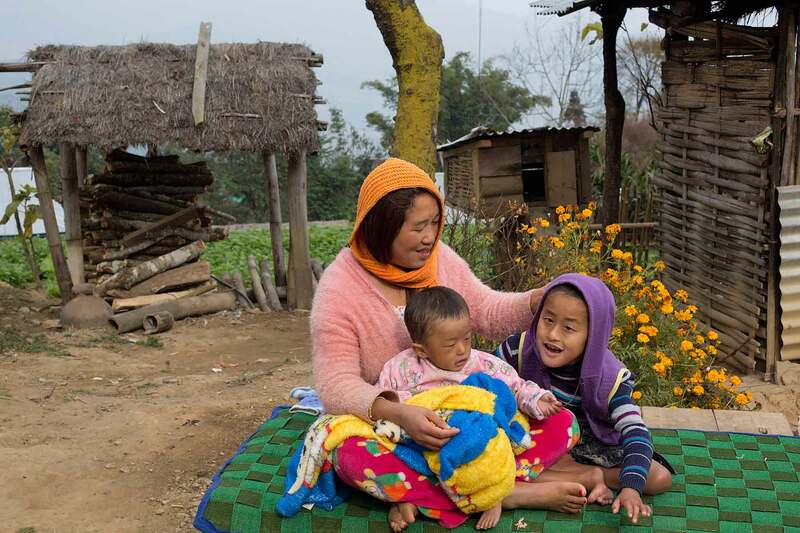 Inspire2Care (earlier known as Prevention and Rehabilitation Program) is directly focused on Karuna’s mission (saving children from disability, one by one) and is complementary to the health care system and disability policy of the Nepalese government. 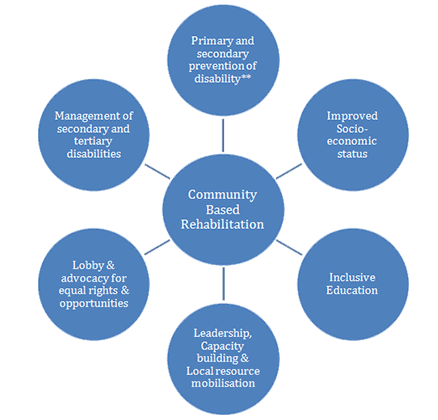 This is a community model aimed at preventing avoidable disabilities among children and adults and creating an enabling environment for children and adults with disabilities and their families by strengthening communities. In this program, we work to strengthen the maternal and child health services and early detection together with management as an approach for preventing avoidable disabilities whereas CBR matrix as a tool for rehabilitation of persons with disabilities. 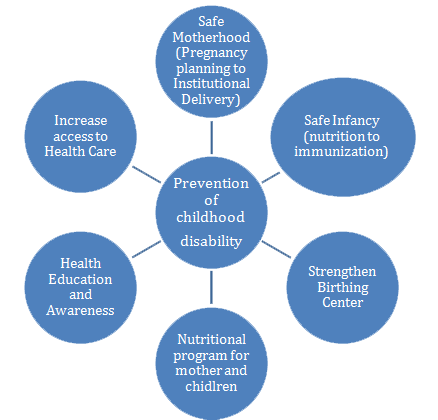 Strengthening of maternal and child health services goes beyond prevention of birth defects to the decrease in maternal and child mortality and improvement in health and nutritional status of both. The project was piloted in three VDCs of Sunsari and four VDCs of Rasuwa. After the pilot, evidences were generated that paved the way for scaling up of CBR approaches. We are able enough to engage with big Foundations like Liliane Foundations and UBS Optimus Foundation. The aim is to scale is up in whole district in Ilam with ambition that central government will roll the program to other districts with the evidence from Ilam. The project is also ongoing in five villages of Rasuwa integrated with Reconstruction and Rehabilitation Holistic Development Project. This is a community owned project with cost sharing , implemented in partnership with Health Facility Management and Operation Committee (HFMOC). Village Disability Rehabilitation Committee (VDRC), Disabled People’s Organization (DPO) and Self Help Groups (SHGs) of persons with disabilities and/or their families are the primary stakeholders of the project. In every village, HFMOC appoints a Community Based Rehabilitation Facilitator (CBRF) to carry out activities of the project. Best Wishes Program is a tool developed by Karuna Foundation Nepal to capture data of pregnant women and to track whether they utilized recommended Antenatal Care services, institutional delivery and Post Natal Care services. There is a mechanism to inform about the defaulter so that health workers can follow up with the women. Best wishes card is delivered to every pregnant woman by Female Community Health Volunteer which contains information about safe pregnancy, safe delivery and safe infancy. Mobile messaging technology is used for the flow of information on registration of pregnancy, due dates of services and confirmation of services used.